Here’s a mid-week dinner that features a pasta sauce you’ve never heard of or tried, but you should! 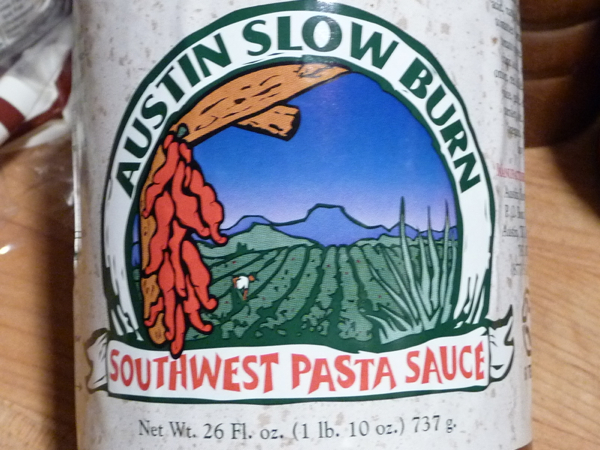 Austin Slow Burn’s Southwest Pasta Sauce is one of the biggest jars (and heaviest) of product that I brought home from the Houston Hot Sauce Festival. I really wrestled over this one, as I knew I had weight limits for my luggage for the flight back home. But I kept coming back to Austin Slow Burn’s booth and decided I just had to bring their pasta sauce home with me – hey, I was saving on shipping, right?